JIPL now offers exciting, specialist technologies focused on water recovery and reuse. We are currently involved in a number of new projects involving resource recovery and reuse. We are using specialist separation technologies to remove liquids from potentially recoverable and saleable waste products. JIPL now offer through Filtration Ltd the revolutionary metal membrane technology. Metal membrane technology is revolutionizing the dairy industry/sector as well as the food industry transforming the filtration methods of the past 50 years. 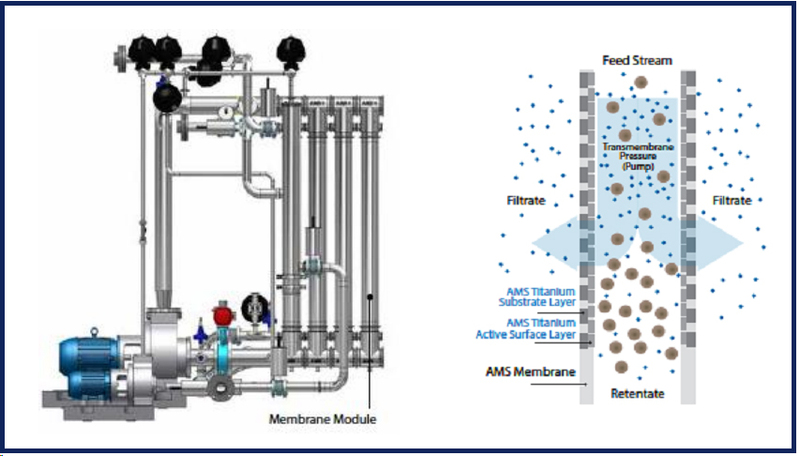 JIPL /FL with our partner AMS Filtration has run a number of pilot studies using our metal membrane pilot unit. The results have been staggering – with astounding results reducing water content at an extremely high level. Solid content can be reduced by 70% with the use of metal membrane technology. This huge reduction in water content means pre-treatment can be avoided or cut down significantly. Only 30% would end up in the spray dryers which would significantly increase efficiencies and be an enormous saving of energy. This technology is environmentally friendlier and greener due to the low consumption of energy used by the spray dryers. With the ever-increasing costs of energy, membrane technology is the way of the future. This is the next development of filtration – expanding boundaries, reducing chemicals and changing the environmental land scape for many years to come. JIPL takes responsibility with innovative environmental and process engineering – with a strategy aimed at resource recovery, waste minimization, and cost-effective wastewater and water treatment in an environmentally sustainable way. Contact us at info@jipl.co.nz to make an appointment with JIPL to discuss our new products and initiatives.